I love looking at vintage cemetery ads, photos and postcards (particularly ones of cemeteries I've visited) for the historical perspective they provide. 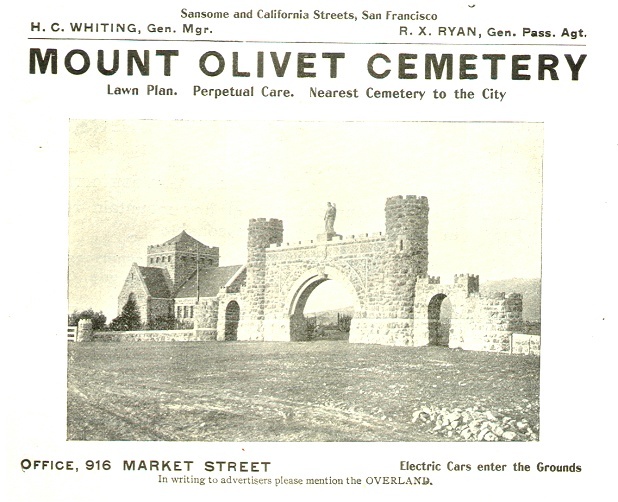 Details from the listing: "This is an ORIGINAL vintage advertisement from a May 1900 magazine for the Mount Olivet Cemetery in California. This 106 year old ad is in good condition. Ad size is approx. 5 1/2 x 4 1/2". NOTE: The ad has NOT been cut, it was only cropped for the scanning process. You will get the ENTIRE page including all of the other ads that are a part of the page as well as the margins. 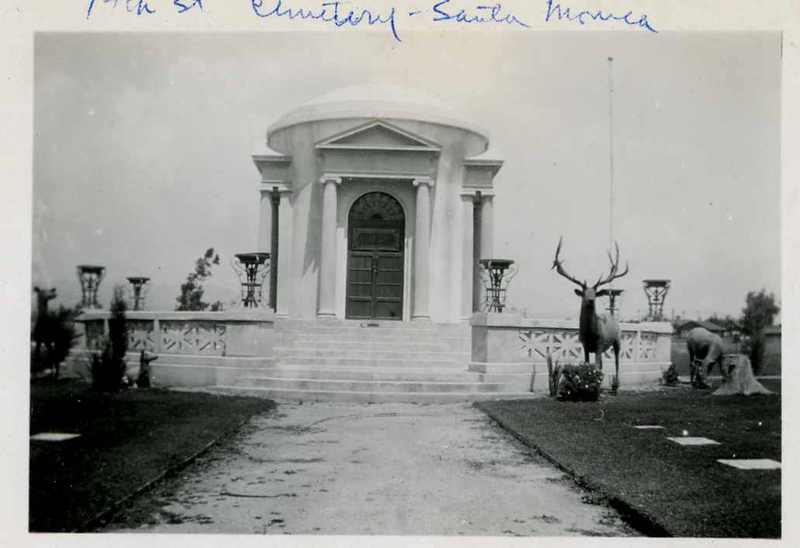 This is now known as Woodlawn Cemetery and Mausoleum, which is currently owned and operated by the City of Santa Monica. The photo is of a private family crypt. Details from listing: This 3.5 x 2.5" photo looks to have been taken in the 1930s or possibly earlier. Seller rates its conditon as 7 out of 10 (10 being mint).